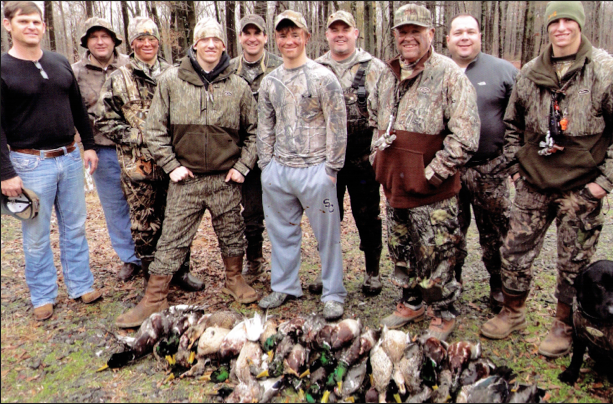 Cache Drain Hunting Club is one of America's premium outing places offering unsurpassed, green- timber mallard duck hunting, outstanding white-tailed deer hunting, and excellent fishing. The property is located in Woodruff County, Arkansas northeast of the town of DesArc and consists of 1,110 (+/-) total acres. 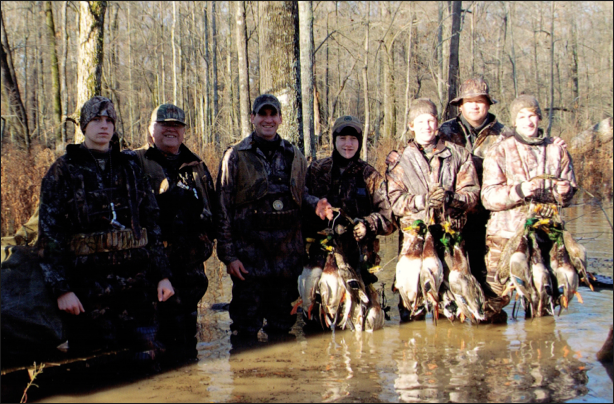 The location is positioned right in the middle of one of the best waterfowl flyways in the Mississippi Delta. All one has to do is travel the roads and levees around this glorious property to understand the abundance of outdoor opportunities offered and its beauty during the autumn months. The property offers an authentic venue for green-timber duck hunting via an impounded green-tree reservoir (“GTR”) comprised of 610 (+/-) acres. The GTR consists of beautiful, hardwood timber, which is divided into four (4) units for artificial flooding. The GTR is flooded via a 125 horsepower, elevated relift positioned near the Cache River with a 24” pipe. 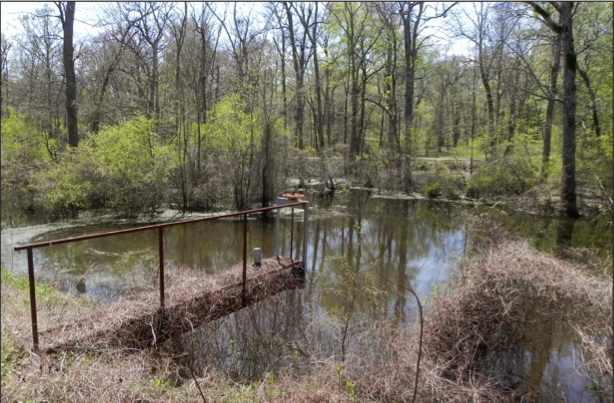 When the river is low the property can be flooded by various wells strategically positioned throughout the property. However, typically the Cache River floods in the autumn and the GTR is engineered so that water from the Cache River can be gravity flowed into the impoundment, which eliminates the cost for pumping. The majority of the cross levees on the GTR have been graveled. Access to the shooting holes is primarily by ATV, however boat travel can be used departing from the Lodge for accessing Cell 1. Boats can be used for accessing shooting holes on other cells as well, specifically Cell 2 of the GTR. Any shooting hole on the GTR can be accessed within 10 minutes from the lodge. 186.97 (+/-) acres are irrigated, tillable farmland providing income and additional hunting opportunities and sanctuary for waterfowl. There are intermittent sloughs and woodlands outside of the GTR, which can flood naturally or be pumped artificially providing additional habitat and sanctuary for waterfowl. 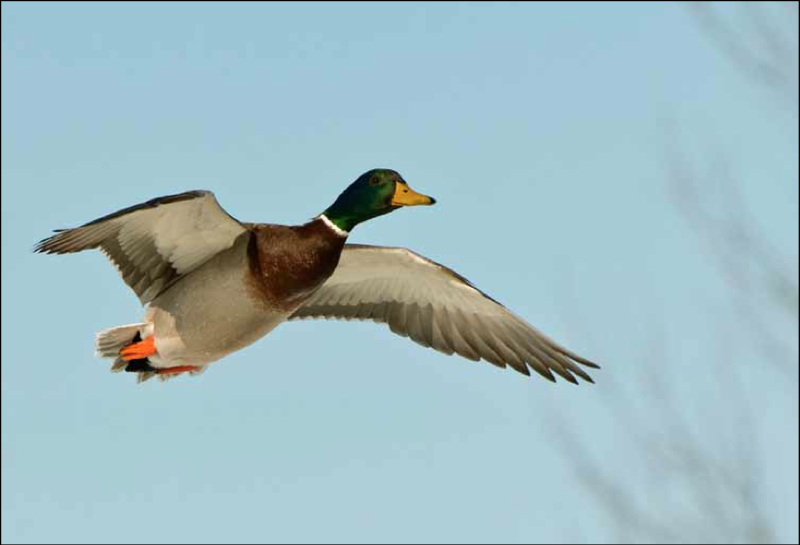 There are approximately 85 (+/-) acres of former cropland that is planted annually and managed as waterfowl food plots. 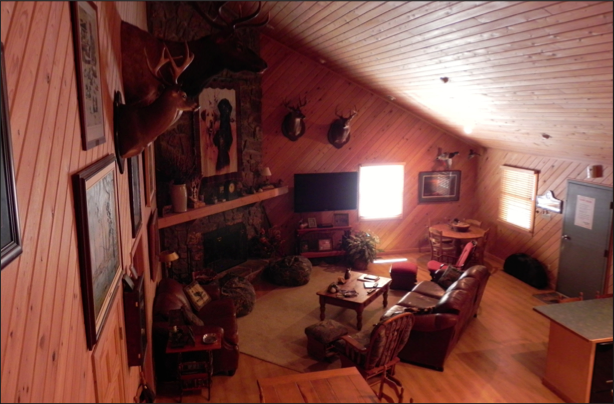 Impressive deer hunting exists on the property as well. Several nice bucks have been harvested through the years and one was just shy of obtaining Boone & Crockett status. Outside of the timber acreage are intermittent patches of woods and old fields providing outstanding habitat for deer. The Cache River National Wildlife Refuge adjoins the property on the north and west providing additional sanctuary and hunting opportunities for waterfowl and deer. 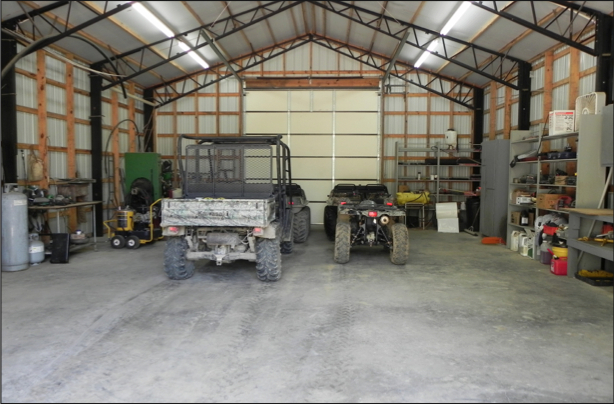 This added acreage is a great benefit to the property expanding the habitat around the private acreage and adding more wildlife supply to the property. 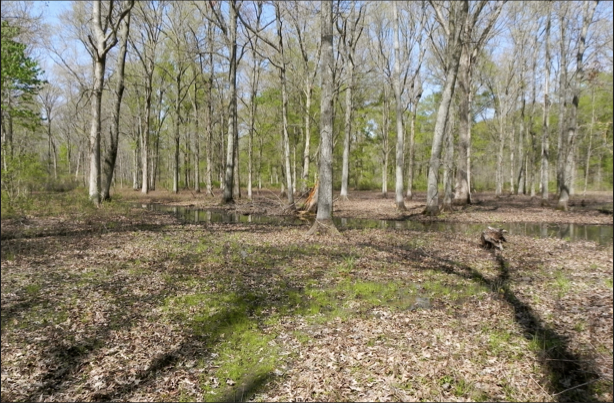 The refuge ground on the west side has a successful stand of 10-12 year-old WRP hardwoods. Some of the refuge ground on the north side is agricultural ground, which portions of crops are left standing for wildlife. A private boat ramp/launch site is located on the Cache River on the eastern boundary of the property, which provides additional hunting and fishing opportunities. Completing the year-round recreational opportunities the property has a 43 (+/-) acre fishing reservoir constructed and stocked roughly five (5) years ago offering great fishing for bass, crappie, catfish, and bream. The cypress and cedar, two-level lodge is perfectly fitting for this grand property and provides comfort- able and luxurious amenities with abundant space and storage. The lodge sleeps roughly 12-15 people offering four (4) large bedrooms, four (4) bathrooms, a large great room with big fireplace, a commer- cial kitchen, utility area, and gun safe. Utilities include municipal water, septic, electric, satellite TV, and an emergency generator. Detached from the lodge is a bunkhouse, which sleeps four (4) people with a small bathroom. There is a detached, heated boot room, a cooking shack with commercial kitchen equipment, and a boat house with covered dock. Additionally, there is a two (2) bedroom with two (2) bath caretaker residence, a large shop, and a dog kennel. The grounds around the lodge are rock and concrete providing ample area for parking and equipment. Lile Real Estate, Inc. is the representing firm of the Seller. Any questions concerning this offering or to schedule a property tour should be directed to the following: Jeryl Jones (mobile: 870-672-1365) or Gar Lile (mobile: 501-920-7015 | office: 501-374-3411).